As today's buyers are better informed, and have so much access to information on-line for comparative purposes, advising you on the sale of your property is something we take very seriously. Having made a full inspection we will write to you reporting on the property, the market and timing. This will include comments on saleability, current demand, comparable sales and a suggested guide price. We work hard to sell your home for the best possible price, in the shortest possible time. 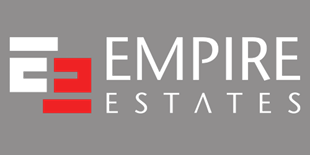 Empire Estates is one of North West London's most recognisable brands attracting Hundreds of buyers every month. In addition, our advanced technology allows us to market your property to buyers across our entire network of offices. We carry out many valuations every week, giving us an in depth knowledge of property prices in your area. After a full inspection of your home we are able to present to you a realistic price range. Arrange a free market appraisal of your property or call us on 020 8459 2600. Our flexible opening hours are essential to maximise viewing opportunities for your property - in fact a good percentage of our viewings are carried out after work and at weekends. Accompanied viewings also mean we can use our experience and knowledge to assist in selling your home. A picture paints a thousand words. Pictures are carefully selected to ensure that your home is presented in the best possible way to prospective buyers. 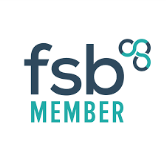 We are always here to help it takes skill and experience to negotiate a sale successfully through to completion and at the same time still achieve the best possible price. Our staff are highly trained and motivated to keep you up to date every step of the way throughout the whole of the selling process. With hundreds of visitors every month, www.empire-estates.com will showcase your home in the best possible light. With its innovative and functional features we are confident that it will bring a steady amount of potential purchasers to view your property. Our staff are highly trained to deal with all situations, however you will have a senior member of our team who will be overseeing the marketing and sale of you home at all times. Please be assured that your property will be in safe hands and we will be with you every step of the way. Arrange a free valuation of your property or call 020 8459 7777.